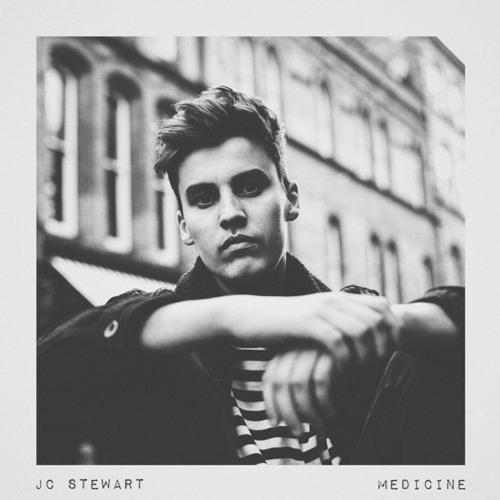 Home / brand new / JC Stewart / música / JC Stewart releases new single "Medicine"
JC Stewart releases new single "Medicine"
Northern Irish singer-songwriter JC Stewart has just released his stinning new single Medicine, out today via Kobalt. I am in love with this song guys! His vocals are so smooth and soulful! The gospel flecked soul track is sparse and emotive building to a rousing crescendo. Stream this anthem below! A soulful singer and incredibly talented songwriter, JC Stewart has already worked with some of the biggest names in music including Nile Rodgers and Rudimental, not to mention a recent feature on record, Footprints with Frank Walker. He is in the studio regularly with the likes of Zak Abel, Antigoni, Cutfather and for artists like New Hope Club and Andreas Moe to name a few. A seasoned songwriter in his own right, JC Stewart's release of Parachute in 2016 has now reached more than 1 million streams on Spotify. This year has already seen JC Stewart support Snow Patrol at their London headline gig at Islington Assembly Hall and play at various festivals in UK and Europe, including Live at Leeds and Wheres The Music festival in Sweden. He will be heading to the Barn on The Farm festival this June. Born in the small town of Magherafelt, Co. Derry/Londonderry, Northern Ireland, J C Stewart started writing songs at the age of 15. Inspired by the old Beatles, Nina Simone and U2 albums lying around his family house growing up, he got more and more into the craft of music and became a part of the Northern Irish music circuit in various bands as well as learning all the songs of the hottest local bands and trying to figure out what made a great song great. Having spent some time refining his sound and developing his craft, JC Stewart is back with new music and if the initial reviews are anything to go by, this guy is one to watch.